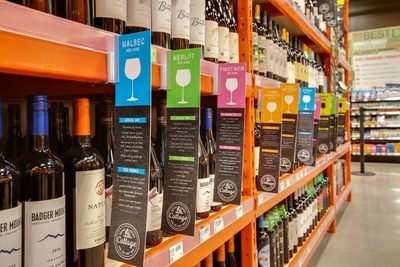 DENVER, Feb. 6, 2019 /PRNewswire/ -- Colorado-based organic and natural retailer Natural Grocers will soon expand its Cottage Wine and Craft Beer concept to three stores in Oklahoma. Natural Grocers Cottage Wine and Craft Beer® offers a convenient and comprehensive selection of specialty alcoholic beverages such as local, organic and gluten-free beer options, organic and biodynamic wine, hard cider and alcoholic kombucha. "From produce to supplements, every product we sell meets rigorous quality standards, and our wine and craft beer selection is no exception," said Natural Grocers Co-President Kemper Isely. "Our Oklahoma customers can trust that we've done our homework to source only the highest-quality craft beer, wine and more to their neighborhood store." The company is strategically focused on carrying local products in its wine and craft beer section in an effort to showcase beer and wine producers committed to maintaining the highest quality standards and certifications. Natural Grocers will only sell wine that is made with organic grapes, USDA Certified Organic (or equivalent) or certified Demeter® Biodynamic®. In addition, all wine is non-genetically modified (non-GMO). Natural Grocers selects its beer, cider and alcoholic kombucha with a focus on organic certification, as well as gluten-free and regional availability. When possible, the company also seeks to expand its selection to include independent craft products from around the U.S.
Natural Grocers currently operates six stores in Oklahoma, offering 100-percent organic produce, meat humanely raised without antibiotics, hormones or other growth promoters, 100-percent free-range eggs, 100-percent pasture-based dairy, GMO-free prepackaged bulk products, groceries that don't contain any artificial colors, flavors, sweeteners or preservatives and more. Natural Grocers by Vitamin Cottage, Inc. (NYSE: NGVC; NaturalGrocers.com) is an expanding specialty retailer of organic and natural groceries, body care and dietary supplements. The company offers a flexible, neighborhood-store format, affordable prices and free, science-based nutrition education programs to help customers make informed health and nutrition choices. Founded in Colorado in 1955, Natural Grocers has more than 3,000 employees and operates 152 stores in 19 states.